Mira Sorvino! Ludacris! Chaka Khan! It's Advertising Week! Yes, my friends, it's that time of year again. Now in its fourth year, Advertising Week, the advertising industry's ego-fest that shames all others, makes its debut Monday, September, 24. As if you don't already get enough of it on a daily basis, the week offers you the opportunity to wallow in the business even more and celebrate the earth shattering "power of advertising and its impact on business, social issues, politics, music, and media through panels, events and discussions with top CEOs, CMOs, industry heavy weights and influencers including Martha Stewart, Academy Award winning actress and activist Mira Sorvino, Grammy Award Winning rapper Ludacris, Grammy Award winning producer Emilio Estefan, Emmy Award Winning producer Michael Davies, Today Show correspondent & former NFL player, Tiki Barber, Founder of Craig's List, Craig Newmark, as well as live performances by Gym Class Heroes, Panic! at the Disco, Chaka Khan, comedians Lewis Black and Susie Essman." The Trunk Monkey has returned. Sadly, he's not as funny as he once was. - The Creative Weblogging Network has launched a self-service shop to help advertisers choose from its 130 blogs. - Seems Washington DC doesn't want to miss out on the fun and has launched its own Advertising Week to be held September 17-21. - More smelly ads can be found in the Los Angeles Times. - Not that anyone heard of it in the first place but the creators of Bullet Proof Baby want us to know the site was part of a promotion for the movie Shoot 'Em Up. We need another award show like we need another email newsletter from MediaPost. Oh wait. Sorry. We used that one already. But wait. Read further. Maybe we do need another award show because the really good stuff...the stuff that should win awards but always gets killed by the client...needs its own platform on which to seek praise. Enter The Speckies. Yup. An award show for great work that got killed, canceled, spat on, trashed and otherwise suffered the indignity of pompous, know-it-all clients who crapped on it just to feed their ego-driven power trip. So here's your chance to slap down those pontificating morons and show the industry your true, unfiltered talent. Or something like that. - EVB has put together MLS Represents for Adidas. Each MLS U.S. soccer team has been paired with 13 originally created anthems which can also be turned into music videos by fans. - Seemingly to protect its brand, China Airlines, following the crash of one of its planes, concealed the plane's logo by painting over it. - All those Diet Pepsi Max yawning sounds are now conveniently available on Wake Up People. Oddly, if you stuck the word "white" in there, you'd instantly have Daniel Carver's catchphrase. - On September 18, the PSFK Conference Series will hit LA. Held at the Pacific Design Center, the conference will examine innovation and change in the areas of creative, media, marketing and advertising. Okay. Seriously. After This, No More Julie! George Parker, the source of choice for getting anything Julie-oriented spun right, has eloquently informed us that Roehm's lawsuit against Wal-Mart was just thrown out of court by a judge in Michigan because she didn't file in Arkansas. Thank gad it's over. Hopefully. In other news, isn't that picture at left awesome? It's part of what happens when you've got an illustrious career in advertising under your belt: spare time. And, cupped like so in creative hands, that can be dangerous. Is it even possible? Yes, apparently, it is. It's still summer and we're going to talk about chilly November in New York when ad:tech will put on its four day extravaganza. In fact, it's so big they've had to add a day and accost even more square footage of the bursting-at-the-seams Hilton. Personally, we like the seam bursting to continue as the only other option, it seems, is to move to Javits and what fun would that be? There isn't much that won't be covered at the show this year. From trendlet conversational marketing to SEO, SEM, engagement and the latest buzz phrase, "consumer context planning." And don't forget: an extra day this year (day and half, actually) means an extra night of parties to attend. We're thinking by the last day of the conference, there's going to be some zombie-like behavior amongst attendees. We will be there. We hope you will too. As September approaches, we thought we'd remind you again of an event Adrants is sponsoring during Advertising Week. Continuing our quest to open the advertising industry to a more diverse group of people, Adrants along with Business Development Institute and the organizers of Advertising Week 2007 will host Experienced Hire Diversity Recruiting Program at the Worldwide Business Centres in New York during Advertising Week September 25-28, 2007. The event, unlike our two previous diversity in advertising events, will "focus solely on advancing the presence of mid to senior level diversity leaders in the communication industries by offering individual companies the opportunity to exclusively recruit top level experienced professionals through private one and half hour recruiting sessions." You Mean Advertisers Are Supposed to Be Living Balanced Lifestyles? Okay. Put away the martini, clear all the white dust off your desk and stop flirting with the intern. Apparently, that's not what a well-balanced ad exec is all about. This September 20th the Ad Club will be presenting its Second Annual Perfect Balance Awards, which were launched to "recognize and celebrate companies who have successfully instituted and fostered an innovative employee health and wellness program." Well, even if our margin of usefulness in this industry really only lasts until about 36 (40 if you're pushing it), maybe there remains a deeper reason to stay healthy and live on. Apply for the honors here. Make sure you're wearing a fresh glow. Champions of wellness are, like, big on that. 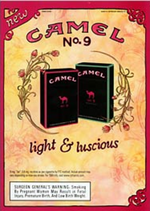 - The American Legacy Foundation and 45 other groups have written a letter to RJ Reynolds asking the company to take Camel No. 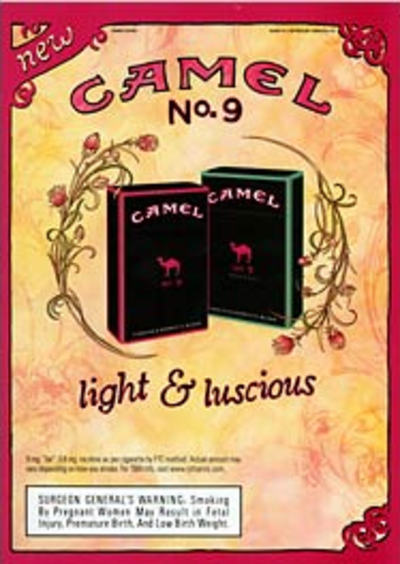 9 off the market claiming it is "nothing more than a veiled attempt to sell more cigarettes to girls and young women." - The film The Ten is getting MySpace play courtesy of Special Ops Media. - The Advertising Softball World Series has launched a new website introducing its 25th silver anniversary tournament party that will be played out this October 7-11 in Las Vegas. - Austin has launched its first intractive marketing group, the AustinIMA. To celebrate the launch, the organization is holding an event next Thursday. Roy Spence and Yvonne Tocquigny along with speakers from Austin Ventures, nFusion, Sicola Martin, and T3 will address the group. - Disney's Family Fun and Wondertime have reported ad page increases of 28 and 61 percent respectively. - Imus may return and so may some advertisers. Like this is s surprise.